We set expectations upfront with live data so there are no surprises. 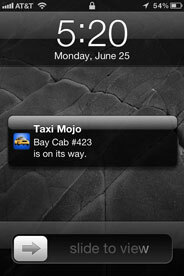 Taxi Mojo remembers your favorite locations & your preferences. Just a few taps, and you're ready to go. 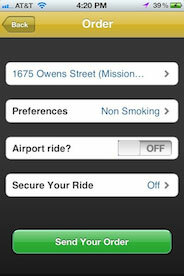 Going to the airport? Let the drivers know: you will get more of them competing for your business. You have better things to do than to stare at your phone for on-screen updates: if you close the app, we'll push status updates notifications so you can stay productive -or enjoy the party- until your taxi shows up. 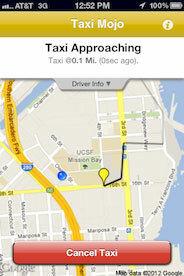 We track your incoming taxi from the second the driver accepts your fare. 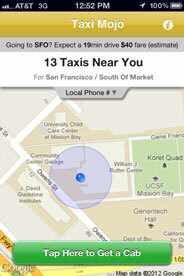 If you've ever agonized over a Taxi which may or may not show up, the live-tracking feature will knock your socks off. It's amazing how the hassle goes away when you get timely, accurate information. 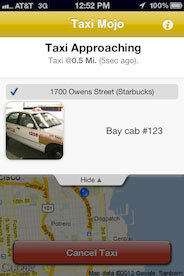 Try it, you'll see how much easier it is to get a cab after we take out the guesswork.